Go to https://www.latefeemanager.com/ and click "Forgot Password". Enter your login ID. We will email a reset link to this address; follow the instructions on the link to reset the password for this account. 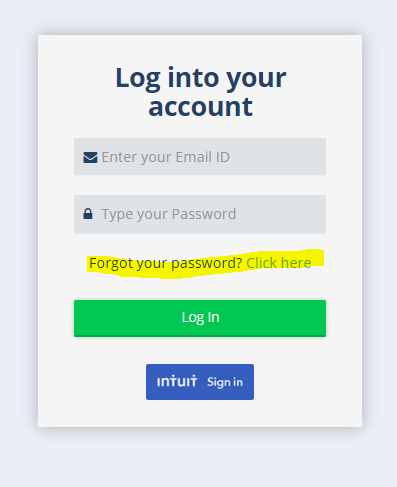 Once the password has been reset you will no longer be able to login to Late Fee Manager through QuickBooks, or the Intuit sign in button (in the screenshot above). However, now you won't need to be logged into your QuickBooks account to access your Late Fee Manager account.